All wireless headphones are gaining popularity, and with good reason. Removing the wire between the drivers is more aesthetically pleasing, as well as reducing opportunities for snagging. So it’s great to hear that the proven audio performance of Scottish audio brand RHA is about to enter the market – with their TrueConnect earbuds. They are IPX5 rated, and offer five hours of battery life on one charge and four more charges available from the case (resurrection takes around one hour forty). Unfortunately, you won’t be able to get a set of the $170 earbuds until the 18th, but I’m sure they will be worth the wait. 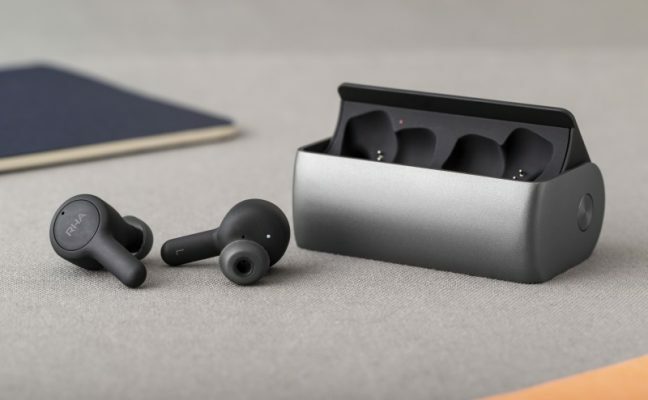 GLASGOW, UK: RHA has confirmed the launch of its first true wireless earbuds, the TrueConnect. The earphone is engineered for industry-leading sound and call quality with 25-hour battery life and IPX5 rating. These impressive credentials ensure that the TrueConnect delivers incredible audio all day, whatever the weather.